My C.B.C. Radio Orchestra will soon be available on-line. The album is called "Four Orchestral Suites" and contains 15 pieces of music. 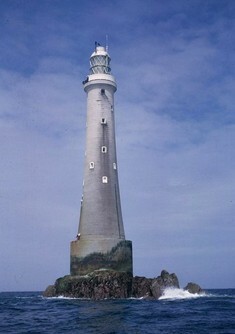 Bishop Rock Lighthouse. Isles of Scilly, England. I use this as my YouTube "logo" / identity. My great grandfather, John Lethbridge, was a stone mason who worked on the construction. He married a local girl, born on the island of Sampson, called Anne Woodcock. The Lethbridge family have a great history as Lifeboatmen in Scilly. They also were lobster fisherman with an area in and around the Bishop Rock Lighthouse.